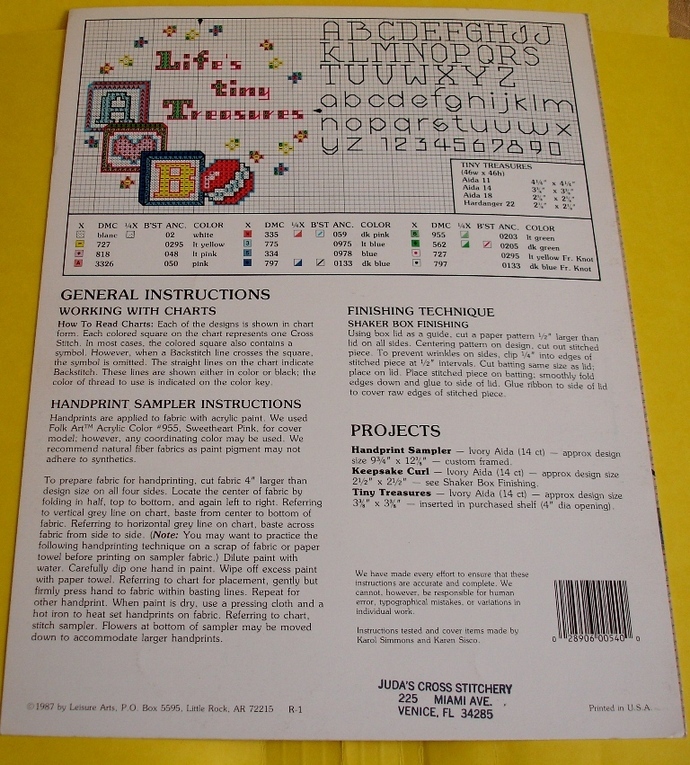 This Baby Keepsakes cross stitch leaflet #540 was designed by Terrie Lee Steinmeyer and copyrighted in 1987 and published by Leisure Arts. This vintage pattern is in excellent condition as it has no rips, tears or stains. 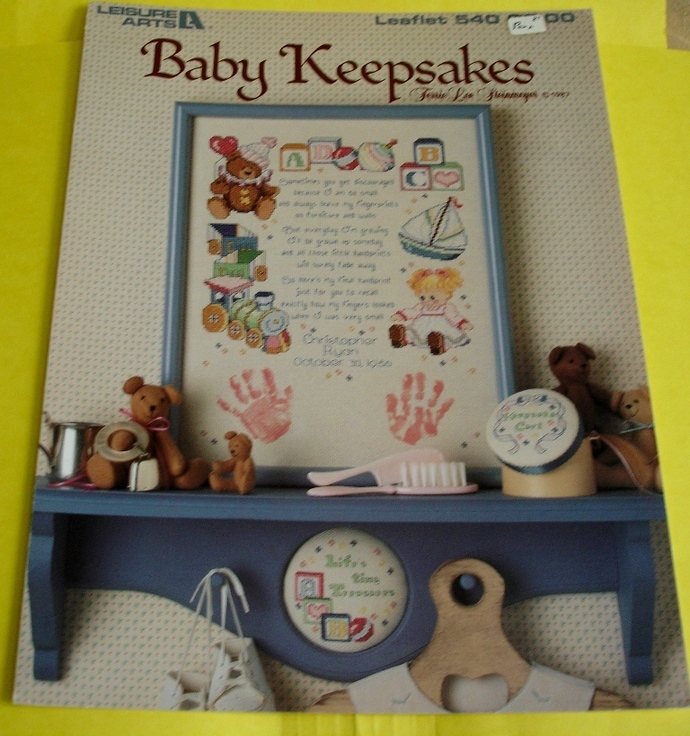 This vintage Baby Keepsakes Cross Stitch Leaflet #540 will ship USPS First Class with tracking. This is a fabulous original Baby Keepsakes cross stitch pattern is not a copy.